Naomi Klein, a public intellectual whose best-selling explorations of social, economic and ecological injustice have made her a global thought-leader, has been selected as the inaugural Gloria Steinem Endowed Chair in Media, Culture and Feminist Studies at Rutgers University-New Brunswick. Klein’s appointment comes at a critical time in the American political and media landscape as progressive leaders link human rights and economic justice with climate change and other global challenges. 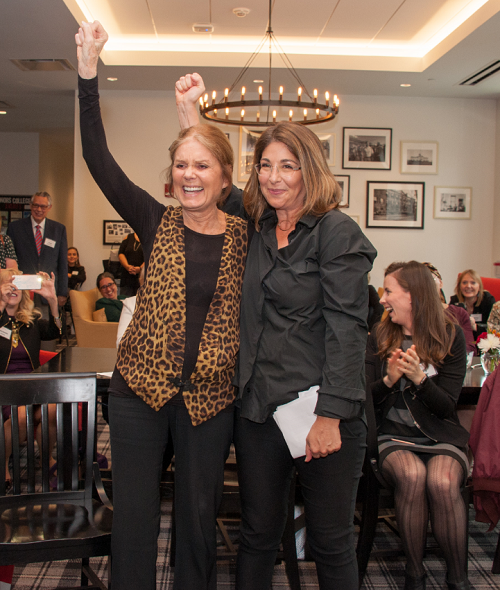 Gloria Steinem celebrated Klein’s appointment with a public discussion on September 21, 2018. The conversation, moderated by journalist Farai Chideya, focused on the ways that information technology and new media are reshaping culture and power relationships as well as the challenges ahead for progressive movements. Dafna Lemish, who chaired the selection committee, said Klein was chosen from an accomplished and diverse pool of candidates, all highly enthusiastic about what the chair might bring to Rutgers. “She broadens the discussion of feminism to encompass the big questions of our time, such as climate change, participatory democracy and poverty,” said Lemish, associate dean for programs and a professor of Journalism and Media Studies. Klein is the author of The Battle for Paradise: Puerto Rico Takes on the Disaster Capitalists (2018), No is Not Enough: Resisting the New Shock Politics and Winning the World We Need (2017), This Changes Everything: Capitalism vs. The Climate (2014), The Shock Doctrine: The Rise of Disaster Capitalism (2007), and No Logo (2000). Her work has been translated into more than 30 languages. "Our late IWL director Alison Bernstein had the magnificent idea to create an endowed chair named for Gloria Steinem,” said Lisa Hetfield, IWL interim director. “Her leadership, along with a team of determined volunteer fundraisers and hundreds of generous donors, made this endowed chair possible. As we welcome Naomi Klein as the inaugural Gloria Steinem Chair occupant, we are also honoring and celebrating the power of women's leadership. " Rutgers University has established the first ever Gloria Steinem Endowed Chair in Media, Culture and Feminist Studies. Through this groundbreaking chair, Rutgers will educate future generations of students from underrepresented groups, to harness the power of media and transform society.  The chair – a collaboration among Rutgers Institute for Women’s Leadership, School of Communication and Information and the Department of Women’s and Gender Studies at the School of Arts and Sciences – focuses on the complex ways information technology and new media are reshaping culture now, and could increase accuracy and representative stories in the future. Following a three-year, $3 million campaign, Rutgers University achieved a historic goal in 2017 to establish the first-ever academic chair named in honor of prominent feminist Gloria Steinem. The idea for the chair originated in 2014 with Bernstein, a visionary scholar who became director of Institute for Women’s Leadership in 2011. Bernstein saw the chair as a way to simultaneously honor an American feminist icon and establish a multidisciplinary teaching role leveraging Rutgers’ strong platforms in media, social change, and women’s and gender studies. Despite Bernstein’s untimely death from cancer in 2016, her quest to create the first academic position named for a preeminent living feminist grew into a shared mission. A steering committee of dedicated volunteers continued to raise funds.